The modeling industry wouldn’t be an industry at all if it weren’t for fashion photographers. However, not all fashion photographers are created equal! These talented men and women are especially desirable, as they have dedicated their lives to bringing fashion to life. They transform models into alluring and enduring images that inspire the world to be a more beautiful place. Their work is so legendary that it’s every fashion model's dream to earn a place in their portfolios. Peruvian photographer Mario Testino has shot some of the world’s most iconic faces, from Kate Moss, Naomi Campbell, and Gisele Bundchen right down to Madonna, Lady Gaga, and Kylie Minogue. And after being chosen by Princess Diana to photograph her for Vanity Fair, just months before her untimely death, Mario has received countless commissions from other members of the Royal Family. Steven Meisel is a bit of a mystery—he rarely gives interviews and he’s rarely photographed—but his mark on the fashion industry is undeniable. 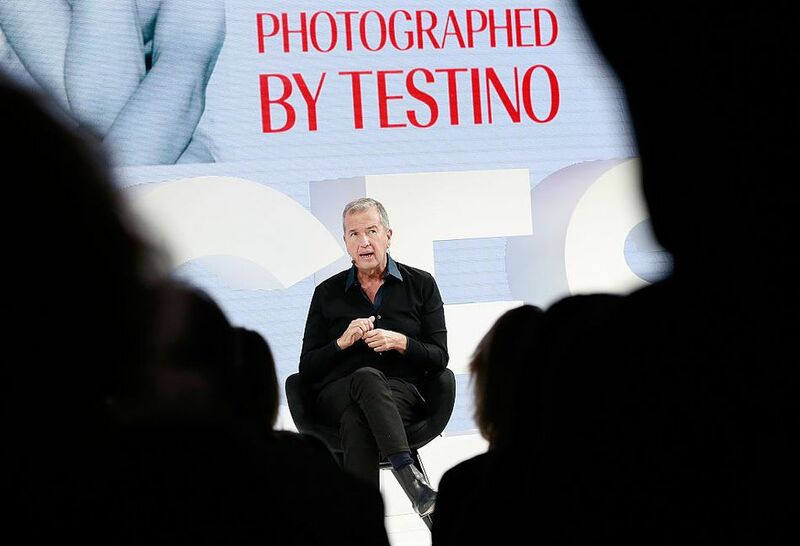 One of the most powerful fashion photographers of all time, he’s been credited with discovering or nurturing the careers of many top models including Coco Rocha, Linda Evangelista, Doutzen Kroes, Naomi Campbell, and Lara Stone. He’s photographed every Vogue Italia cover since 1988 and every Prada campaign since 2004, has shot campaigns for the likes of Valentino, Versace and Dolce & Gabbana, and has worked for top fashion magazines worldwide. Needless to say, Steven Meisel is one photographer with whom all models are dying to work. Annie Leibovitz is best known for her intimate portraits of actors, athletes, politicians, and musicians (most notably John Lennon), but her work also crosses over into fashion. She began working for Vogue in 1988 and has since become known for her lavish and intricate fashion shoots. In addition to her extensive magazine work, which also includes numerous editorials and cover shoots for Vanity Fair, Annie has shot advertising campaigns for Prada, Roberto Cavalli, Bulgari, Dior, Gap, and other major labels. French fashion photographer Patrick Demarchelier is one of the most significant fashion photographers of all time. It’s every model’s dream to work with him and to be captured in his signature, striking style. Demarchelier is responsible for many of the industry’s most celebrated images, most notably his photos of Christy Turlington for British Vogue (New York, 1992) and Nadja Auermann for Harper’s Bazaar (Paris, 1994 and New York, 1995). He has photographed every top model, has shot the covers of nearly every fashion magazine and has created international advertising campaigns for Chanel, Yves Saint Laurent, Dior and Louis Vuitton, among others. He even became the official photographer of Princess Diana of Wales in 1989—the first non-Briton ever to do so. This LA-based fashion photographer was a major player in the 1980s and 90s fashion scene. He gained an international reputation for his distinctive black and white photographs that were bold, minimalistic, and unlike anything the fashion industry had ever seen before. Herb Ritts photographed all the top models of the time, including Naomi Campbell, Stephanie Seymour, Christy Turlington, and Cindy Crawford, worked for nearly every major fashion magazine (he has nearly 40 covers for Vanity Fair alone), and published photography books for leading designers such as Chanel, Cartier, Giorgio Armani, and Valentino. Sadly, Herb died of complications from pneumonia in 2002. He was only 50 years old.